World Haemophilia Day is observed on 17 April every year to increase awareness about haemophilia disease and other inherited bleeding disorders. In 1989, World Haemophilia Day was started by the World Federation of Haemophilia (WFH) in honour of WFH founder Frank Schnavel’s birthday. Tech giant Google is all set to exhibit itself as AI first company in front of the world by opening new research centers across the globe such as in Tokyo, Zurich, New York, and Paris. Following this idea, the company has opened its first center in Africa in Ghana capital city, Accra. Using Google’s AI machine app ‘Tensor Flow’, farmers analyze the issue with their plants and boost their production. Tensor Flow was outsourced by the company to help developers generate solutions to real-world problems. ADB committed to provide USD 3 billion in sovereign loans to India in 2018, the highest level of assistance since sovereign operations began in the country in 1986. The Asian Development Bank (ADB), owned by 68 member countries, committed a total of USD 3.88 billion, including sovereign loans and co-financing during the year ended December 2018. The 5G technology, along with blockchain, will be progressively adopted by banks. 5G had already arrived in the world and the department had already launched test beds for 5G use in the academia in Hyderabad, Chennai and Bangalore to develop 5G for Indian use. It will also collaborate with various stakeholders including banks, government and financial institutions for 5G promotion and absorption of best practices. The Non-Resident Indians (NRIs) living in nearly 40 countries will now be able to open account in IDBI Bank without submitting paper documents. The 8th edition of Home Expo India 2019 began at India Expo Centre and Mart in Greater Noida. It covers sectors with maximum thrust and growth potential in home decor, furnishing, furniture, flooring and textiles. About 500 companies in permanent marts will be exhibiting their collection under these categories. The three-day exhibition has been organized by the Export Promotion Council for Handicrafts. Handicrafts exports during the year 2018-19 was to the tune of 26 thousand 590 crore rupees registering a growth of 15.46 per cent over the previous year. Fincare Small Finance Bank (SFB) has been awarded the prestigious Celent Model Bank 2019 Award in the category of Financial Inclusion, for ‘Redesigning Lending to Reach Small Businesses’. The award recognizes LAP (Loans Against Property) D.Lite, a tab-based solution designed and developed in-house by Fincare SFB for origination and instant underwriting of loans against property targeted at micro and small enterprises. Some of the other banks to receive the award in other categories include Bank of America, CIBC, Fidor Bank, HSBC, Rabobank, and Santander among others. Paytm Payments Bank, India has won the award under Beyond Banking category for its ‘Building a Truly Digital Bank for India’ initiative. 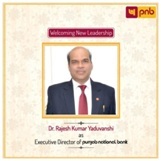 Yaduvanshi brings with him a diversified experience of over 3 decades in the banking industry, having held senior positions in the banking sector both in India and abroad. PwC has named Padmaja Alaganandan as its new chief people officer. Alaganandan, who was leader-people and or ganisation at PwC earlier, takes over from Jagjit Singh. Alaganandan is also in the PwC’s India leadership team since January 2019. Indian women’s cricket team captain Mithali Raj has been named the goodwill ambassador of Team India at the Street Child Cricket World Cup (SCCWC). Bus ticketing platform redBus announced that it has appointed cricketer Mahendra Singh Dhoni as its brand ambassador. Redbuswill reach out to its audience across the country through various media channels, both online and offline. 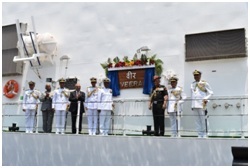 Indian Coast Guard Ship Veera, the third in the series of 98 metre Offshore Patrol Vessels (OPVs) was commissioned at Visakhapatnam by General BipinRawat in the presence of Director General Rajendra Singh, PTM, TM, Director General Indian Coast Guard and senior dignitaries of the central and state government. “Veera” meaning “Audacious Brave Courageous” is a projection of Indian Coast Guard’s will and commitment ‘To Serve and Protect’ the maritime interest of the nation. The 98 metre long, 15 metre wide patrol vessel has a 3.6 metre draft and a range of 5,000 nautical miles. The vessel is fitted with a 30mm naval gun and will be fitted with 12.7mm Gun with FCS. ICC Cricket for Good, in partnership with UNICEF, announced ‘One Day for Children’ bringing together cricket’s one billion fans to help build a better world for every child.